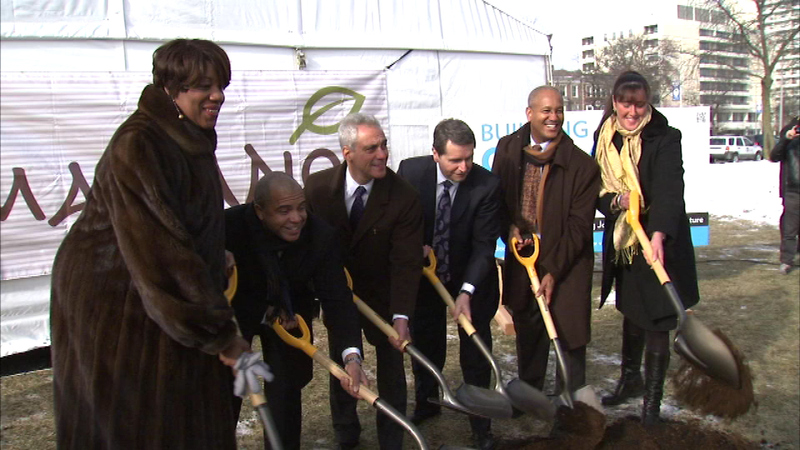 CHICAGO (WLS) -- Work is officially underway on Chicago's newest Mariano's grocery store in Bronzeville. The new store will be located at the intersection of 39th Street and Martin Luther King Drive. Mayor Rahm Emanuel and other city leaders were on hand for the groundbreaking. Mariano's says the new 74,000 square foot store will fit in with the architectural feel in Bronzeville. The company is building the new store on land that sat vacant for years. The project is expected to create 200 construction jobs and 400 permanent jobs.